Stay healthy. Break 2:40. Run New York City. I run for my health. 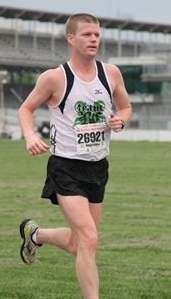 I was overweight and having all sorts of problems before I took up running again 5 years ago (after an 11-year post-collegiate break). Now I’m addicted to the training. I love completing my workout every morning. It’s one of the best parts of my day. Chicago, 2009. After struggling in my first 3 attempts at the marathon I finally had the breakthrough I’d been waiting for. Ran strong and dropped my PR by 18 minutes to 2:51. Heading down the stretch to the finish line was one of the greatest feelings I’ve had in running. 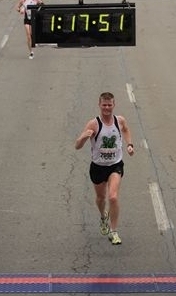 A Pacer was a huge factor in my first half-marathon. I wasn’t sure how fast I could run, but the longer I stayed with the pacer the more my confidence grew. It was huge. I’d like the opportunity to help someone else that same way. 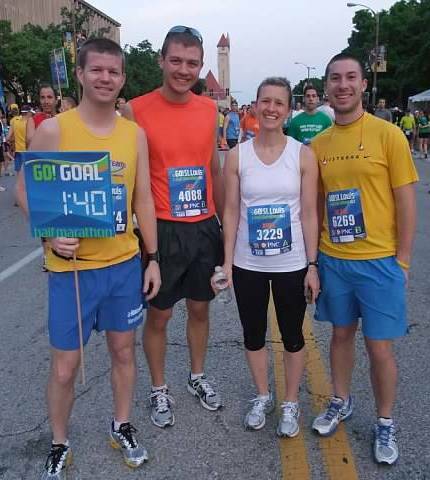 If you’re in shape to run our goal time – I’ll get you there. AND we just might have some fun in the process! RELAX! The marathon doesn’t start until the 20 mile mark. You SHOULD feel like the pace is way too easy early on. Settle in, conserve and let me do the work. I’ve been involved with St. Jude fundraising for the last several years, as well as getting involved with events for the local Boys and Girls club and other organizations.